Find out everything you need to know about distressed property & distressed debt right here. If you have questions that aren’t answered here just scroll to the bottom and ask – we’ll answer! Distressed debt has created incredible interest, and many investment opportunities. The financial crises kick started a domino effect that has seen distressed debt investing opportunities scale exponentially. Distressed real estate debt stands out as one of the top choices for both individual investors and funds seeking value, growth, and income at an opportune moment. So what types of distressed debt investments are available to investors today? How much distressed debt and distressed property is out there? How do you find distressed properties, negotiate them, and finance them? Most commonly ‘Distressed Property’ refers to commercial real estate and homes which have fallen into mortgage default, and are facing foreclosure. ‘Distress’ generally refers to the legal and financial state of the property. But this can also refer to some properties which have been neglected and have fallen into disrepair due to the former type of distress. What is the Process of Distressed Debt? Mortgage debt becomes distressed when loan payments are late. And sometimes when other factors threaten the security of the financial asset (the loan note). So what happens when the profitability and security of an note asset becomes distressed, or in threat of becoming distressed? At virtually any time during the default process the borrower may halt the foreclosure proceedings by reinstating the loan. Note that this can depend upon the legal jurisdiction, and governing timelines. Borrower and note holder may agree on a loan modification or short sale arrangement. The process can also be sped up or averted by using a deed-in-lieu of foreclosure to hand over control and ownership of the collateral property to the note holder without enduring the pains and costs of going through foreclosure. While non-performing loan notes and repossessing real estate may not appear attractive to a lender on the surface; it has proven to be very profitable. In addition to the above resolutions and processes, note holders can sell non-performing notes to a very large pool other investors. There can also be great profit in reselling the distressed asset after it becomes REO (Real Estate Owned). And in making new, more profitable loans on the same property. There are two types of foreclosure process that residential distressed debt may have to go. Depending on the state the property is located in this may be a judicial or non-judicial foreclosure. Non-judicial foreclosures do not generally require the lender to get a court judgement to force the sale of a distressed property. Judicial foreclosure states such as Florida and New York can result in lengthier foreclosure timelines. This is due to the legal and court processing requirements on lenders and note holders. This normally isn’t an issue. Though it can become more pronounced when there is a huge number of foreclosures that clog up the court system. We saw this in the pit of the foreclosure crisis of the early 2000s. On the bright side; it has staggered the flow of foreclosures, and lengthened the period of time for investors to take advantage of distressed debt and property investment opportunities. It has also benefited many property owners. It can be common for lenders and borrowers to resolve issues during this process by short sale, loan modification, or deed-in-lieu of foreclosure. But expect the timelines for moving from default to foreclosure auction, and from REO to liquidation sale to be dramatically reduced in the near future. Commercial real estate loans are not regulated in the same way owner occupied home mortgages are. There are far fewer rules, and protections for borrowers. This sparked a new trend and plethora of new lenders in the wake of the crises. Now many mortgage companies, lenders, and hedge funds and their conduits are focusing on making non-owner occupied real estate loans. And mortgages for ‘business purposes’. These lenders include RentalHomeFinancing, B2RFinance, FirstKey Lending, and many others. The bottom line is that it can be far faster for lenders to foreclosure and repo commercial real estate. However, due to the types of properties used as collateral, they often end up as REOs. At least for a while. This may change as capital markets become flush with cash again and both distressed commercial debt and commercial distressed assets move more rapidly as demand intensifies. Distressed property has become highly desirable. Distressed real estate offers the appeal of great bargains for value investors and home buyers seeking the best possible deals. Whether it is properties just falling into default status, or REOs, all have one thing in common. That is owners motivated to sell. And lien holders motivated to negotiate. So how do you find distressed properties for sale, or which can be bid on? 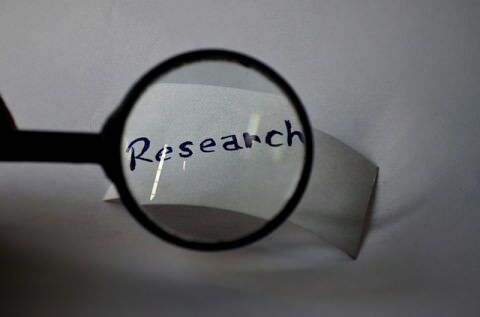 The key to successfully and profitably navigating the search for distressed property really comes down to finding an efficient method. The individual homebuyer just looking for a single property may have the luxury of spending months or years hunting for the perfect home that meets their own tastes. For real estate investors time is money. For active property investors marketing for properties is expensive too. And sending vast quantities of direct mail, spending gas driving neighborhoods, and cold calling comes with zero guarantees of scoring a viable deal. In order to find distressed properties for sale, in volume, cost effectively, consistently, efficiently, and profitably; it only makes sense for investors to hone in on the biggest pools of distressed assets. This would be the banks, mortgage lenders, servicers, credit unions, asset managers, and hedge funds that hold billions of dollars and many thousands of distressed property loans, and REOs. There are literally thousands of US banks with distressed debt. Thousands of them with REOs. They have billions of dollars in distressed assets. Still, it can be trickier to find and buy distressed properties than most think. At least until you know the best ways to find them and who to talk to. You can walk into your local bank, visit their websites, and call their toll free numbers. That often won’t yield much fruit. And even when distressed property investors find properties this way, they are normally over priced and the process isn’t attractive. In contrast; BankProspector makes it easy to instantly pinpoint US banks, credit unions, and other asset managers with REOs. BankProspector offers the ultimate in cost effectiveness and efficiency for those serious about distressed investing. It breaks down REOs by bank. It shows what they are holding in residential REOs, multi-family REOs, construction REOs, land, and distressed commercial assets. Those looking to get even further ahead of the competition can use DistressedPro’s BankProspector to identify banks with non-performing distressed debt that is still in the foreclosure process, and even earlier. These properties may be acquired as notes or short sales. What can frustrate those new to distressed property investing is that not all banks holding these properties are publicly advertising them, or selling them. This can be bewildering to those stumbling from bank to bank the old way. Those this can definitely help secure more profit for those that understand it, and have the tools to pinpoint banks selling REOs. As the Office of the Comptroller of the Currency highlights; ‘Other Real Estate Owned’ (OREO) isn’t the main line of business these financial institutions are supposed to be in. Some simply haven’t gotten around to establishing a system and infrastructure for liquidating these distressed assets. Others are waiting for offers to come in. Fortunately, tools like BankProspector makes it easy to identify which banks are selling, and which can. Whether combing the streets, sending out yellow letters and postcards to sellers in foreclosure, working with real estate agents, or using specialized software; the key to finding distressed properties for sale and actually making deals happen really comes down to connecting with decision makers. If you can’t connect with decision makers it doesn’t mean much. Buyers and investors need to be able to contact those with the power to approve sales, and cut deals. The few brokers which are actually experienced in this domain can help. Individual sellers can be tricky due to multiple owners, liens, and debt. Higher up bank contacts are the best. BankProspector for example; makes it easy to contact these professionals directly. They can discuss bulk pools and individual distressed assets. They can negotiate and approve sales. Once relationships are built, and you have established credibility as a reliable buyer they may come back to you first whenever they have an opportunity. The minimum wage customer service rep on the toll free line in another country, or the bank clerk that is only used to handling deposits and cashing payroll checks doesn’t have any power or expertise in this realm at all. Distressed property listings can be very profitable and attractive to real estate sales professionals. All consumers, corporate real estate buyers, and individual investors are drawn to distressed property listings. By name they instantly imply great value. This typically means that they get more attention, draw more bids, and sell faster than other properties. So the real estate brokerage or agent with distressed property listings is automatically ahead of the game when it comes to reaching new clients, increasing conversions, maximizing marketing ROI, dominating market share, and boosting income and revenues. So how can Realtors obtain these prized, yet often elusive listings? Banks normally don’t call around and ask Realtors they find in the phone book if they’d like to list all of their REOs. If they did you wouldn’t be reading this. You’d be selling houses and commercial real estate like crazy. Which Banks will List Distressed Property? The good news is that there is really no hard reason why any bank wouldn’t list their OREO with a good real estate firm. Some banks and lenders do already have established channels and providers for this. Remember foreclosures are not a new invention. Some have had listing representation arrangements with some of these financial institutions for decades. The key is filtering these out from the thousands of others that don’t already have relationships and systems, and which need your help. Plus, of course determining how to stand out as the trusted choice to get the job done. Once a relationship is forged with the right contacts this is likely to open up huge deal flow for Realtors. Some may be able to even leverage ‘coming soon’ listings on distressed assets even before anyone else gets to ask about them. How Do Banks Choose Realtors for Distressed Property? Perhaps a better question is how do you as a real estate agent get chosen? How do you impress upon them your ability to generate sales quickly, with the least amount of hassle, with the least amount of liability, and the maximum net proceeds to the bank? One method of elevating your perceived expertise in this area is by obtaining additional training. 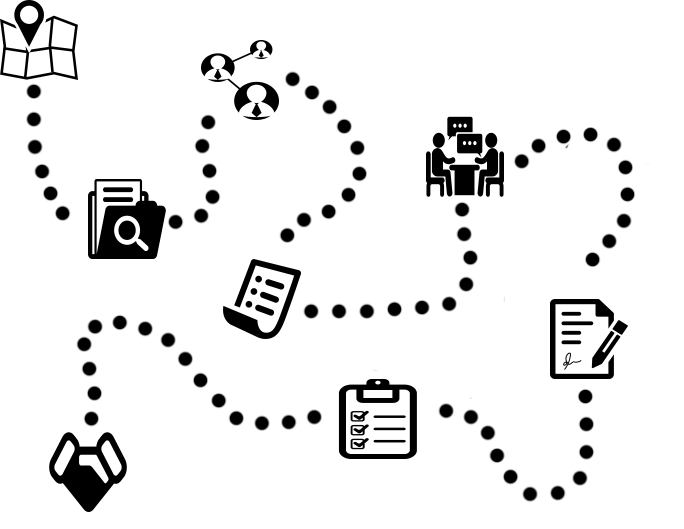 This may be purely optional, and professionals need to avoid being distracted and diverted by the pursuit of more credentials, but this may be one scenario in which more letters after your title may be useful. There are many educational training options, designations, and certifications available. Just be sure to weigh their real practical benefit and ROI. For example; will they actually help to perform better and do real deals quickly. Or will they just require extensive time out of the field and in a classroom in exchange for some more alphabet soup that is a turn off to most clients? How do you actually buy a distressed property? Finding banks with distressed REOs is one part of the equation. The other part is actually getting an offer accepted and closing the deal. So how does the process work? What are the most important factors to watch out for? And is it possible to finance the purchase of REOs from banks? The process of purchasing distressed properties from banks and other institutions isn’t too different from any other home or commercial real estate purchase. There are a few quirks and potential oddities for those new to it, but the mechanics and pieces are essentially the same as buying a home or apartment building through a Realtor or John Doe down the street. Once the proper lines of communication have been found and established, and it is determined the owner will entertain an offer, it’ time to put pen to paper. Or at least stylus to iPad. If you are working with a Realtor intermediary they will help you craft a great offer. Listen to their words of wisdom. They may not be able to disclose everything they know about how desperate the owner is to sell, or not, but can direct you in making an offer that has the best chances of success. Whether working through a real estate agent or not, one of the very best moves buyers can make is to get to know their contracts. Get to know your state real estate contracts, and those used by the state bar association. If you know your contracts you’ll be able to draft solid offers in just a few minutes when a deal comes up. You’ll also be able to quickly spot irregularities and potential liabilities. Both parties must sign in order for the contract to be valid and legally binding. Banks in particular have earned a notorious reputation for being inflexible. This is never truer than when it comes to negotiating and accepting offers on REOs. But that doesn’t mean you can’t negotiate. Check these boxes and you may find that you can negotiate very substantial discounts. on Distressed Homes for Sale? All too often buyers offer far too little, or far too much when it comes to buying distressed homes for sale. So how much should you be offering? Distressed property is popular for one reason. That is the value. The discount. So don’t overpay. Do your math in advance. Know your limits. Where the break even point is. Don’t break it. In many cases bidders will find that they can snag great deals. Even better ones than the thought. If they ask. However, there is absolutely a low ball point which is sure to get you shut out of the game. If you Realtor advises you to make no less than a $70,000 offer on a $100,000 listing, and you insist on offering $50,000 – odds are it won’t get accepted. Worse; you’ve probably just burned that agent contact and source for life. They’ll probably warn the rest of the office to ignore you as well. Distressed properties have sold for 50 cents on the dollar. They’ve even sold for 30 to 40 cents on the dollar. But do listen. While in some scenarios you’ll want to go in with almost your best offer upfront, when it comes to bidding on off-market REOs and distressed debt you can shoot for a bargain, and leave a little room for a counteroffer. But, do justify your low offers with facts. For example; if you know the property, have an estimate of repair costs, or know of other factors which could impact the value, and the seller may not know about – document it with your offer. Most importantly; make sure you satisfy what it most important to the seller. Often this has nothing to do with the top line purchase offer price at all. A private individual may be most worried about having time to move. And about having the money to move out of a property in foreclosure, to a rental, or anywhere else for their family. A real estate agent might be most worried about how secure their commission will be if they choose to present your offer and recommend it versus someone else. Or a Realtor might need you to close by a certain date to avoid a foreclosure auction or their listing agreement expiring with the seller. A bank is normally concerned with the net proceeds. Which offer will put the most real dollars back in the pot after all of the other fluff is scraped away? Secondary concerns might be limiting liability, speed, and not having to start over again if you can’t hold up your end and close. Buyers and investors can finance distressed property purchases. Financing should be arranged in advance. Purchase offers won’t even be entertained or looked at unless accompanied by a mortgage pre-approval letter or a proof of funds letter. There are many financing solutions for buying distressed properties. The right choice is really about finding the right fit for your goals and transaction. Expect that sellers and their agents will recommend their own financing resources too. Sometimes this can be helpful. But be sure to do the math. Shop around and ensure you are obtaining the best net deal. Virtually any type of loan may be used to buy distressed property and bank REOs. There may be limitations based on the individual lender, loan program, and depending on the condition of the property, but these are on a case by case basis. There are several scenarios in which individuals and companies may rent distressed property. This can be an opportunity to get a great deal on renting a property. Or it can be a risky and problematic scenario. One scenario is where a an existing tenant or owner is in a property when it goes into default. The lender may exchange the deed and ownership for allowing a borrower to stay in the property as a renter. This has its complications. A true tenant should be confident in the fact that their lease agreement is superior to the chain of ownership. So it doesn’t matter if a property is sold; the renter should be able to stay in place, at the same rate until the lease is up. However, this does not mean there won’t be any problems with utilities, notices, property maintenance and upkeep while their property is going through foreclosure and is changing hands. The distressed situation many property owners are in today has also lead to rent-to-own, lease options, wrap around mortgages, subject to mortgages, and land contracts becoming popular again. These can offer great financial advantages to all parties. However, they can also bring significant risk. Investors and homebuyers considering these types of arrangements must do extra due diligence. And put extra security measures in place. There is no guarantee that the landlord or seller will continue to maintain any underlying mortgage debt, and keep up their part of the contract. Closing costs for buying and selling distressed properties are very similar to any other real estate transaction. The best way to determine the exact closing costs for any real estate purchase is to obtain a Good Faith Estimate from your mortgage lender, and an estimated HUD Settlement Statement from your title company or real estate attorney. Where closings costs can increase for distressed property is when sellers require that the buyer pay to settle items such as past due association fees and taxes, or liens attached to the property. This is negotiable. The condition of distressed properties continues to be an issue across the United States. Millions of homes have gone vacant, have been abandoned, and have been neglected since the foreclosure crisis began. Not all ‘distressed’ properties are in bad shape. In fact; many may be brand new, recently renovated high end luxury homes or other prime commercial properties. But, it is a factor that buyers need to be alert to. It has become so bad in some areas where banks refuse to maintain properties or pay their property taxes that cities have moved in to take over. They have bulldozed problem properties. They have seized them by eminent domain. And they have slated entire communities to be torn down, or have cut off public services to them. So while it is typical that distressed properties will be sold ‘as-is’, buyers should always exercise their right to inspections and walk-throughs. Know exactly what you are buying. Or ensure your price is so low that you can’t lose, even if the property must be torn down. DistressedPro.com and BankProspector offer access to the biggest and most comprehensive distressed property database. Home buyers, business buyers, and real estate investors often question how different types of distressed property compare. A bank owned property or REO is a distressed asset which has already gone through the foreclosure process, or was returned to the lender in advance of foreclosure. In some cases fewer costs have been accumulated in the earliest stages of foreclosure and default. This can make a pre-foreclosure a good deal. They can also be harder to find in bulk, and cost effectively. However, the lender holding the debt may not be very motivated to help at early stages. Once it becomes REO the bank needs to liquidate the property to recapitalize, and may become more motivated to negotiate. Short sales effectively happen in some form with a great many foreclosure, pre-foreclosure, and REO properties. A short sale occurs when the lender accepts a lesser amount than what is owed to satisfy a mortgage and release their lien. This occurs where property is ‘underwater’, or worth less than the balance owed. Banks may negotiate short sales prior to foreclosure. Those this can be a lengthy and trying process. Once bank owned the lender may sell for a fraction of the loan balance, but without the hassles of a traditional short sale. In many circles distressed real estate has been eclipsed by interest in investing in distressed debt. Distressed mortgage debt is the note, or paper asset versus the brick and mortar or land. Distressed debt funds and hedge funds have invested billions in acquiring non-performing mortgage loan notes. While some prefer handling the actual real estate, many sophisticated investing see debt investing as superior. Debt investing eliminates property management hassles, many of the liabilities associated with holding rental properties, is less costly and time consuming to buy and sell, and yet delivers great returns. Some also used distressed debt as a channel for eventually acquiring the real estate collateral at even larger discounts, and without the competition over REOs and publicly marketed foreclosures. Investors can acquire mortgage debt or loan notes from lenders at anytime. This happens all the time when new mortgages are originated. They are commonly sold off in the second market, or payment rights are sold to loan servicers. Now that non-performing loans are more accessible they have become extremely attractive to those seeking discounts and value investments. They trade at great bargains, so that origina lenders can make new loans. Note buyers benefit from an asset with multiple exit and profit strategies. Non-performing loan notes can be flipped and resold. They can be foreclosed on to take control of the property. They can also be cured and brought back to performing status. This can provide high yields and cash flow with virtually effortless passive income. As notes prove to perform they can also increase in value and be resold. 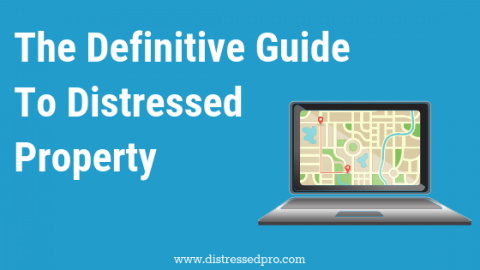 Thank you for sharing this exhaustive guide on distressed properties. A lot of property investors are interested in finding good deals on less than ideal properties, such as foreclosures, and have no clue where to start. I always say that getting educated first is the most important step. You need to know what you are getting into so there are less surprises along the way. Following a guide such as your is a great place to start! There are many benefits to investing in properties that are distressed. For example, good deals, quick closings, better baragining power, and the potential to increase the value of the property over time are just some ways you can make out good with something like a foreclosure. Just make sure you do your research and get help if you need it. Thanks again for sharing, your readers are sure to learn something new. AWESOME article for distressed property information. I’ve actually bookmarked this article for future reference. The only thing that I didn’t see in this article is attaining distress properties via other sources like marketing for them. The banks will have some great deals from time to time but what happens when inventory levels are very low? What options do you recommend to get distressed properties in that scenario? Thank You! Thanks for sharing this very helpful info! Does anyone know where to find accurate statistics like these or any other good resources which would help to compare the Return on Investment of the various types of distressed properties? Hi Brecht, Phenomenal article and one that every single new real estate investor should read this! The information you have provided about the distressed property is really impressive and very helpful to me. Thanks for sharing such an informative post and I really appreciate this one. Hope to learn more new ideas from your side. Keep Posting similar articles.